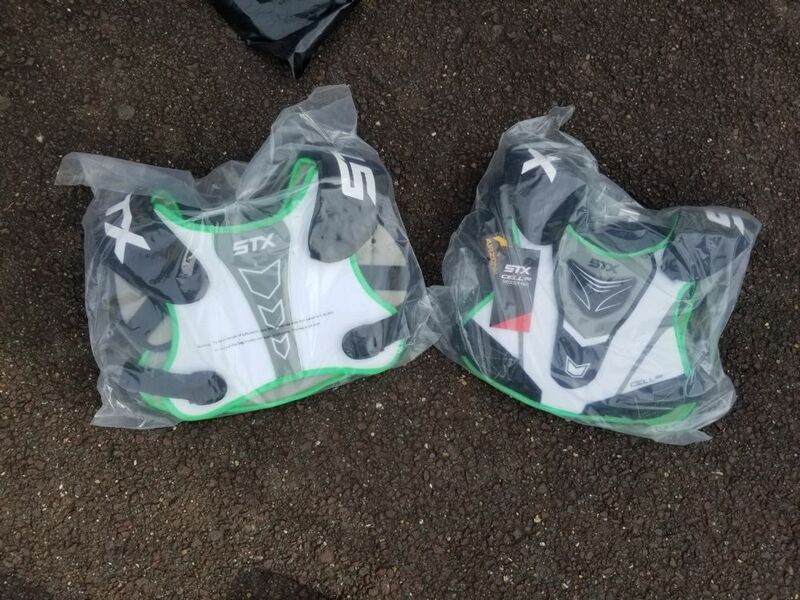 Details: These shoulder pads were purchased from Stafford County Parks and Recreation. Most are brand new, in the bag. A few were used 1 season prior to our purchase. All pads are Medium size. 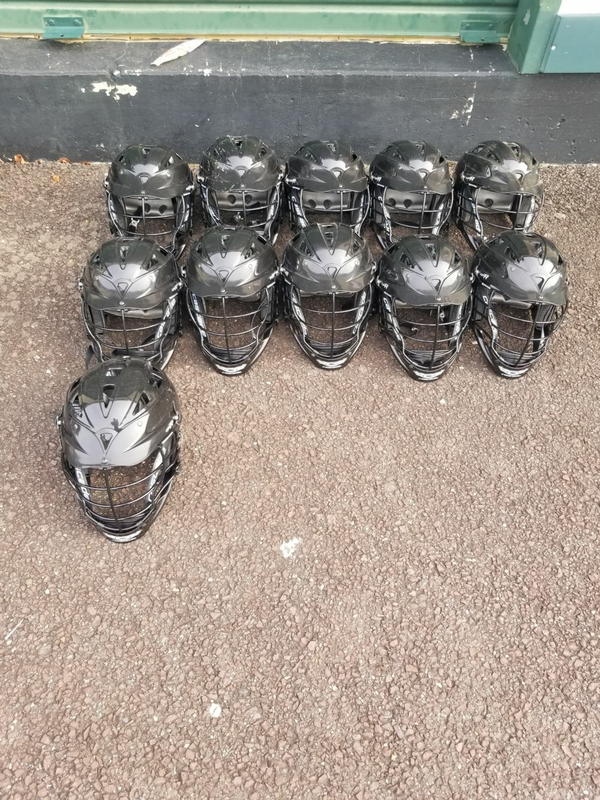 Details: These helmets were purchased from Stafford County Parks and Recreation. They were used 1 season prior to our purchase. The CPX-R is on the upper end of the youth size spectrum, but is adjustable and is generally suitable for 12U/14U boys. 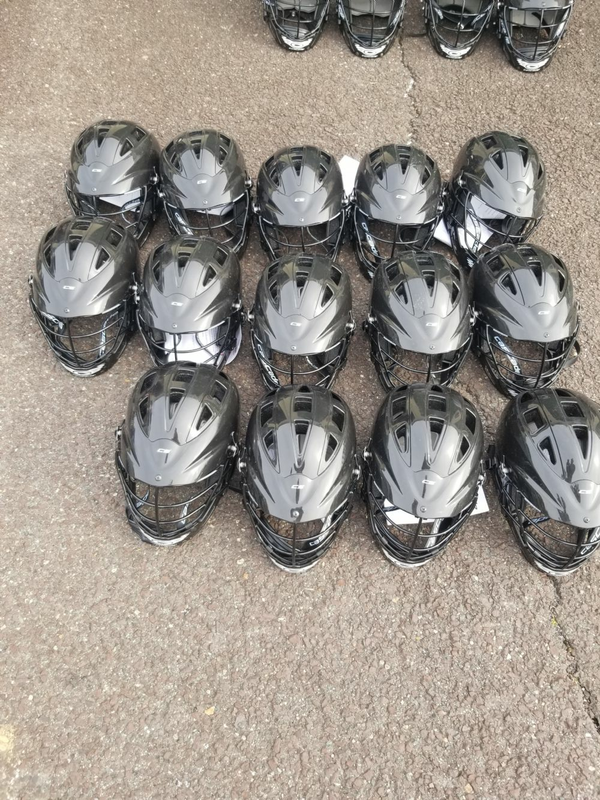 Details: These helmets were purchased from Stafford County Parks and Recreation. They are new, having never been used. The CPX-R is on the upper end of the youth size spectrum, but is adjustable and is generally suitable for 12U/14U boys. 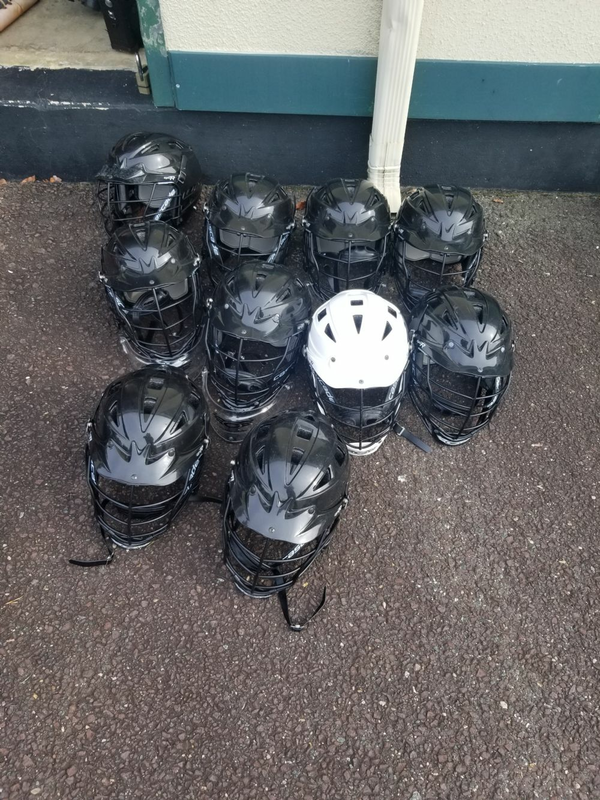 Details: These helmets were purchased from Stafford County Parks and Recreation. They were used 1 season prior to our purchase. The CPV-R is middle level helmet in the Cascade line. It is adjustable and is generally suitable for 10U/12U & possibly small 14U boys. 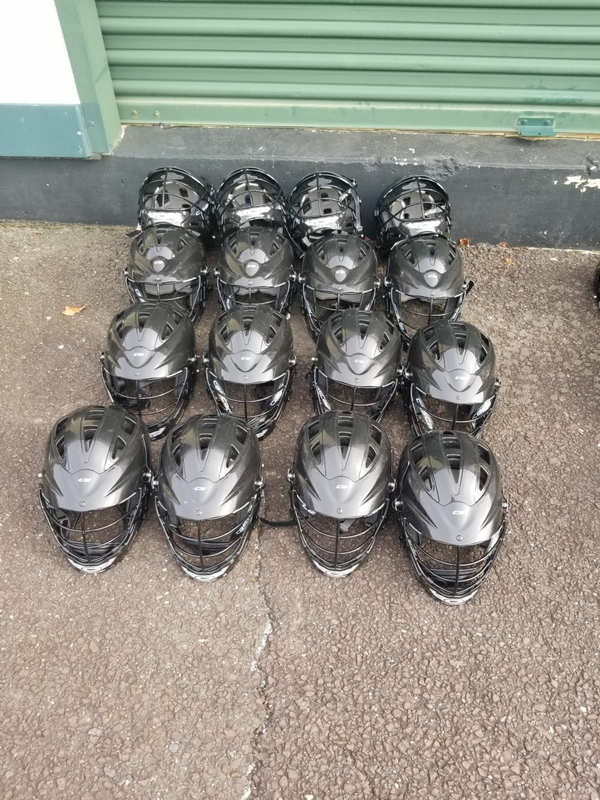 Details: These helmets were purchased from Stafford County Parks and Recreation. They were used for 1 season prior to our purchase. The CS is the entry level helmet and the smallest in the Cascade line. It is slightly adjustable and is generally suitable for 8U/10U boys. 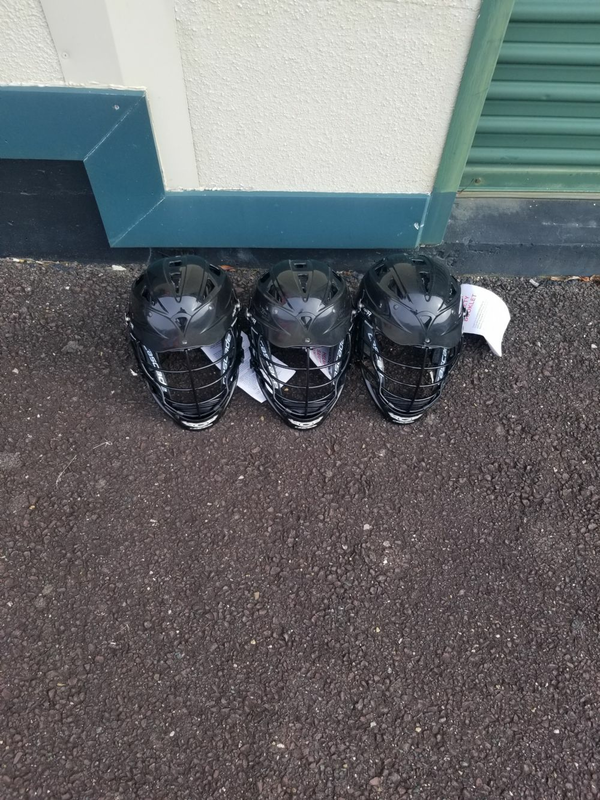 Details: These helmets were purchased from Stafford County Parks and Recreation. They are new, having never been used. The CS is the entry level helmet and the smallest in the Cascade line. It is slightly adjustable and is generally suitable for 8U/10U boys. 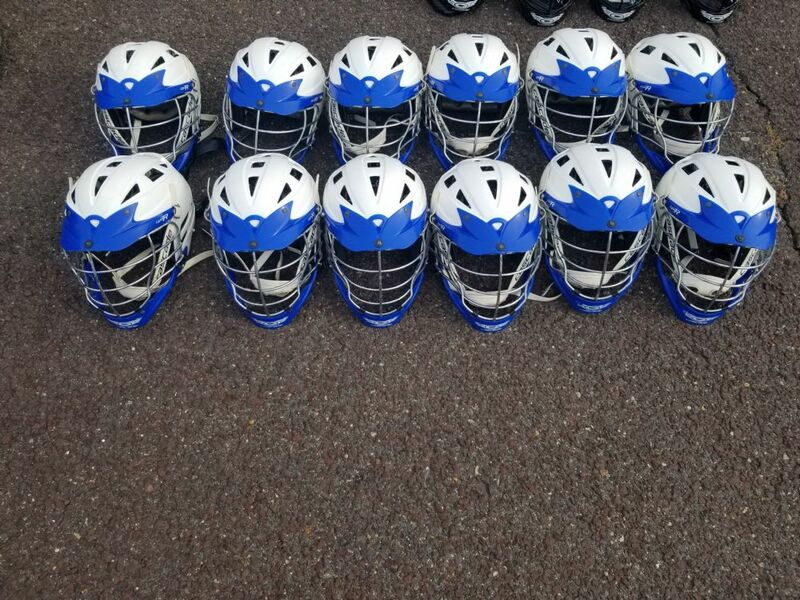 Details: These helmets were purchased from Riverbend HS boys lacrosse. They were refurbished in late 2016, and used 1 season (2017). The CPX-R is on the upper end of the youth size spectrum, but is adjustable and is generally suitable for 12U/14U boys.